Christmas Eve 2017: What People Do On December 24, Christmas Eve? Christmas Eve 2017: What People Do On Christmas Eve? It is believed that Jesus Christ was born at the midnight of 25th December and the significance of celebrating Christmas Eve has its roots from this belief. It is that time of the year when the festive season kicks in before the end of another year. Just a day before the Christmas, the birthday of Jesus Christ, the world celebrates Christmas Eve or Christmas evening. It is believed that Jesus Christ was born at the midnight of 25th December and the significance of celebrating Christmas Eve has its roots from this belief. The evening of December 24 comprises of family gatherings and the midnight mass at church just before celebrations for the birthday of Jesus Christ begin. The midnight mass is considered to be the most important Church service of the Christmas season across many traditions. Christmas Eve is the day when gifts are exchanged between people. In several parts of the globe, Christmas Eve is seen as the day when people buy their Christmas trees which are then decorated in time for Christmas Day. Carol singing is a huge part of mid-night masses on Christmas Eve. People spend days practicing for the evening. The carol is part of the Midnight Mass Communion Service (or 'Christ-Mas') on December 24 night. Churches across countries like Britain are usually illuminated with flickering candles and the echoes of the sound of carols at midnight. Christmas Carols are not just organized in Churches, but people in certain countries call for groups of singers who then sing carols from door to door, or at public gatherings. 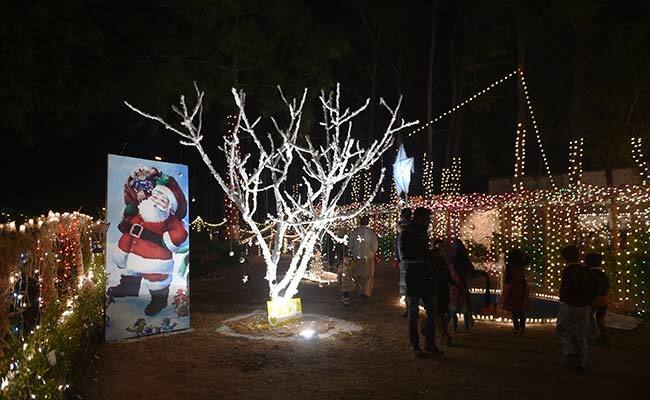 Christmas celebrations in different parts of the globe depict their traditions, beliefs and superstitions like presents from Santa Claus and Christmas trees.